You've seen enough courtroom dramas to be familiar with the scene. The defendant is called to the stand and the famous swearing of the oath begins. Do you swear to tell the truth, the whole truth, and nothing but the truth? The accused is charged with the following crimes: dangerous neglect of family, failure to give child support, and family abandonment. This person is a deadbeat and a menace to society. He needs to be taken off the streets and locked up until he can get his act together. The name of the accused: God. Yet, according to Stephen Altrogge, this is exactly what we all do when we complain. 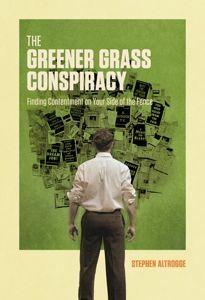 In his great little book, The Greener Grass Conspiracy: Finding Contentment on Your Side of the Fence, Altrogge teaches us from Scripture (particularly, Paul's words in Philippians 4:10-19) about the missing virtue of contentment. What I found most helpful, though, was his thorough look at the sinful result of being DIScontent. When we complain, we’re loudly saying that the blessings of the gospel aren’t enough. We’re saying that the death of Christ isn’t enough. We’re saying that eternal fellowship with God, purchased at great cost to God, isn’t enough to satisfy our souls. We’re saying that forgiveness of sins and peace with God is nice, but not that nice. We’re saying that God “[has] not wisdom, or power, or mercy enough” to provide for us. We’re saying that God himself, who is the very definition of goodness, isn’t good enough. We would like a little something more, if you don’t mind. God plus [insert desire of choice] should do the trick. When we complain, we accuse God of being stingy, of not giving us enough. 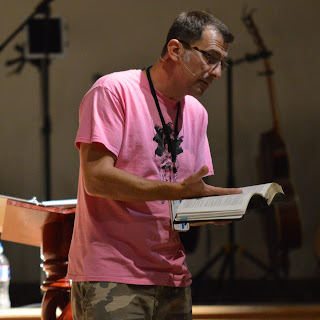 Do you see the utter sinfulness of complaining? It tramples the gospel in the mud and paints God as a cosmic Scrooge. Even though God gave up what was most precious to him to bring us to himself, it’s not enough. Even though God proved his generosity with blood, we don’t believe him. God emptied his pockets for us, and yet we complain. Complaining isn’t just an insignificant, minor, everyday sin. It’s a slap in the face of God. When I complain, I’m preaching to myself and everyone else that God is helpless. I’m saying that God doesn’t know what he’s doing when it comes to my life, that god is a new driver behind the wheel of the universe. When I complain I inform the world that God isn’t very good at running my life. When I complain, I’m declaring that I serve a helpless, bumbling God. That my life is out of control. That he hasn’t been faithful. That he isn’t using circumstances for good. I’m smearing God’s character and forgetting his past faithfulness. I’m telling the world that god is a pathetic, disorganized deity who can’t seem to get my life straight. I’m telling a lie about God. When we complain, we portray God as a joyless Scrooge in the sky, a miserable master who has no time for happiness. We show our neighbors and friends that followers of Jesus are scowling, joyless drips who follow a joyless master. When we complain, we’re saying that God hasn’t been good to us. We’re making a loud statement to ourselves and to the rest of the world that God hasn’t been a good master. If you're not too ashamed by this point, I'd encourage you to pick up a copy of this book and have a good, convicting read. The author is a great writer, very humorous when appropriate, and easy to read (on the eyes, not the heart!). And just so you won't complain about the book being too long, it's a mere 144 pages.